No two consumers attending the race track are going to be the same. 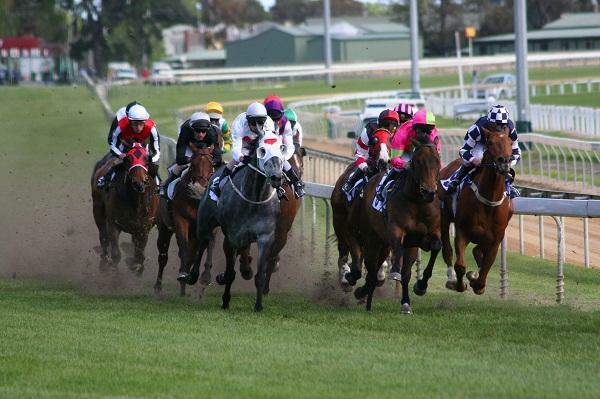 And it’s this desire to better understand individual preferences and tailor experiences that triggered the Victoria Racing Club’s decision to overhaul its customer loyalty program. The club took the wrappers of its new-look Racing Rewards program on 30 January, promising members personalised offers such as invitations to exclusive events, unique experiences, prizes and rewards based on their buying habits, preferences and interests. EGM of commercial operations, Nick Addison, told CMO the launch comes off the back of a much wider program of work being undertaken to transform VRC into a customer-centric organisation and build a closer sense of engagement with punters. VRC’s Racing Rewards loyalty program has been around for more than 15 years and boasts of 30,000 members. It also has a 95 per cent retention rate. “It’s a positive base but we want to continue to deliver and exceed their expectations,” Addison said. “To do that, we have to understand them and their behaviour. The key platform to achieve that is a loyalty program that’s designed to reward them for patronage and give them experiences tailored to them as well. Historically, VRC’s loyalty program focused on rewarding attendance, and Addison noted the club has a subset of loyal, passionate consumers that attend every one of its 24 race meets per year. The challenge was that the insights available coming from the member base were limited to attendance, and didn’t reflect purchasing behaviour, benefits and rewards, or what members placed strong value on, he said. The new-look program sees spend as a key earner of points. Anytime a member transacts before or during a race day, they earn rewards, and they’re also recognised for attendance and tenure. VRC worked with AIMIA to roll out its new members program, deploying the software vendor’s Smart Button loyalty platform as the engine for the program and rewards calculation. It also ran a pilot program before launch to inform the design of the program. Addison highlighted a couple of notable insights, such as discovering a subset of members attending race days three to four times per year that invested more heavily financially. Loyalty might be the manifestation of customer interaction at VRC, but it’s just one pillar of a wider transformation strategy aimed at becoming more customer centric as an organisation. Nor could creating a data-driven loyalty program be achieved without wider technology improvements. Addison said VRC has spent the past few years going through a significant systems upgrade of its point-of-sale, CRM and HR systems, and has installed a high-density Wi-Fi network on the course. A vital step was to ensure the loyalty platform was integrated with all of these systems. VRC’s initial focus has been on ensuring the flow of data from point-of-sale to the Smart Button engine and delivering member information at the front end. From there, Addison said the club will start to look at more granular metrics in terms of spend per head, types of behaviours members undertake, attendance and impact. Longer term, Addison also hoped to extend the approach to non-members and build insights on what its wider audience expects of a race day experience. “We want to try and connect into attendees and members to develop that customer value chain,” he said. While technology is vital in building customer-centric strategy, Addison added it’s how VRC enacts its strategy that will be the final determinant of success. “Where strategy falls down is in the execution of it and we still need to execute,” he said.